This is Part Two of a Three-Part Series on Supply Chain Vulnerabilities. We invite you to read our previously-published blog on supply chain vulnerabilities relating to Raw Materials. A supply chain is a system for transforming natural resources, raw materials, and components into a finished product that is delivered to an end customer. We previously explored the incoming raw materials; let’s focus on internal manufacturing processes next. 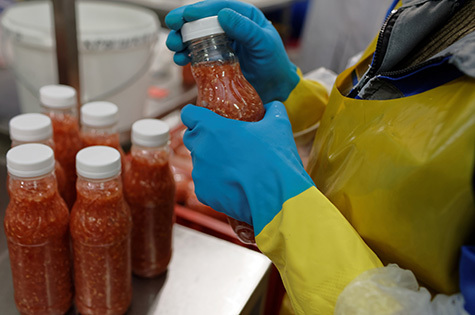 As much as we may hate to admit it, there are real threats workers may pose to the manufacture of safe food, regardless of how trustworthy we believe our staff to be. Every manufacturing facility employs people. Has every one of your personnel received a thorough background check? There are many companies out there that offer this service for a nominal fee, and the assurance you receive in return regarding the veracity of your employees is of incalculable value. Past behaviour can speak volumes regarding potential future behavior, so ensure your work force is without questionable history. Ensure those employed by others who have unsupervised access to your site on a regular basis (such as pest control contractors) have also undergone a rigorous screening process before allowing them to service your facility. If you employ seasonal or temporary workers, ensure the agency supplying them follows your stringent hiring practices. Today, management is tasked more heavily, and asked to be responsible for multiple departments and teams. Focusing on too many things leads to limited focus on details. While a manager can focus on the big picture, the supervisor, who has intimate daily interaction with the work force, can focus on the details. 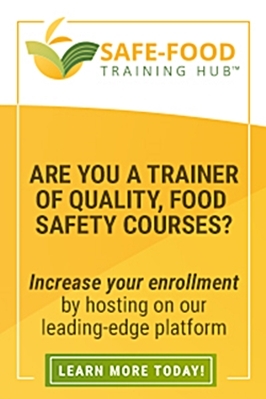 This not only ensures safe food practices are well implemented, supervisors are often the first ones to notice strange behaviors or suspicious activities. Train supervisors to look for indicators of malicious intent, and keep the lines of communication open to stay aware of potential internal threats. Have you ever been reviewing your customer complaints and noticed the one outlier that seems patently impossible for your process? The ink pen found in a can of tuna, or the live cockroach in a can of soup? It is easy to dismiss this as a greedy attempt to extort money from your company; however, this could be an indicator of a disgruntled employee trying to cause harm. Use your management meetings to ensure interdepartmental communication about suspicious complaints, behavior issues, or terminations so any malicious behaviors may be properly investigated and thwarted before they cause real harm. 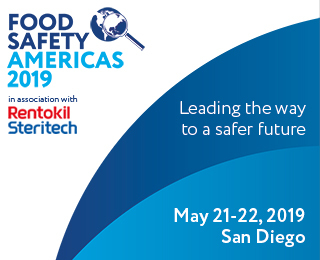 While there is always more that can be done to tighten up food safety processes and procedures, taking care of the vulnerable points in your supply chain that relate to manufacturing will go a long way towards enhancing food safety for everyone. Ann-Marie Beall is currently the owner of Ambeall Consulting, LLC, specializing in training for BRC/SQF GFSI schemes, and consulting activities for general food safety and GFSI program development and implementation. She has a degree in microbiology, and has worked in progressive management positions that have helped her become an expert in HACCP compliance and quality systems management, with an area of specialization in GFSI.